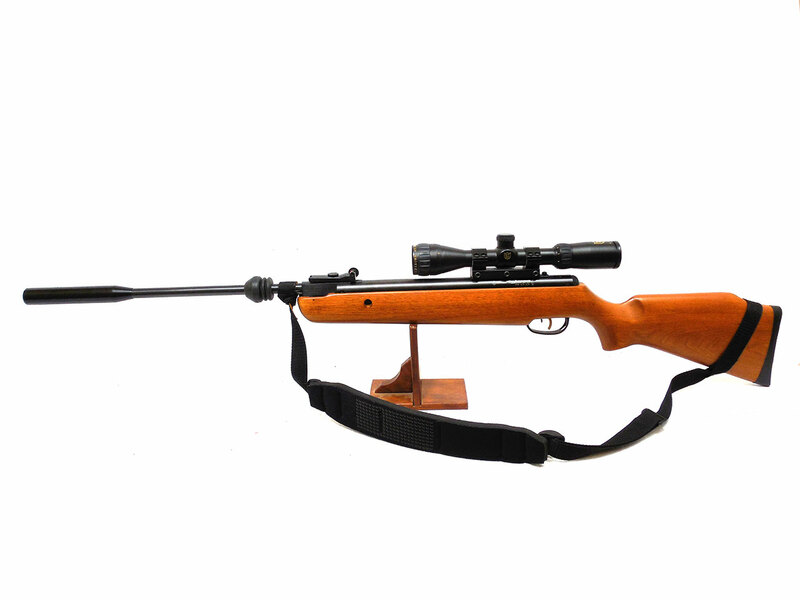 The Crosman Quest 800x is a .22 caliber break barrel air rifle with wood stock, and micro adjustable rear sights. 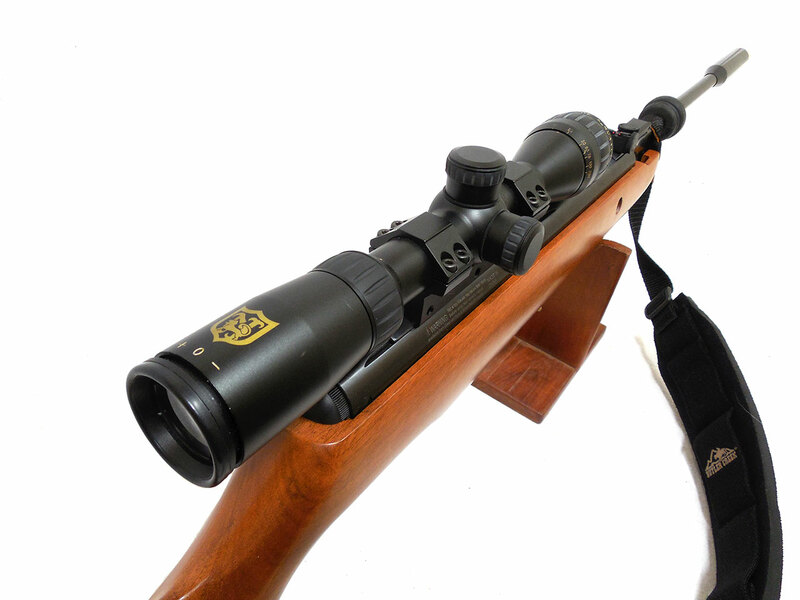 There’s no front sight on this one because it’s been outfitted with a suppressor. 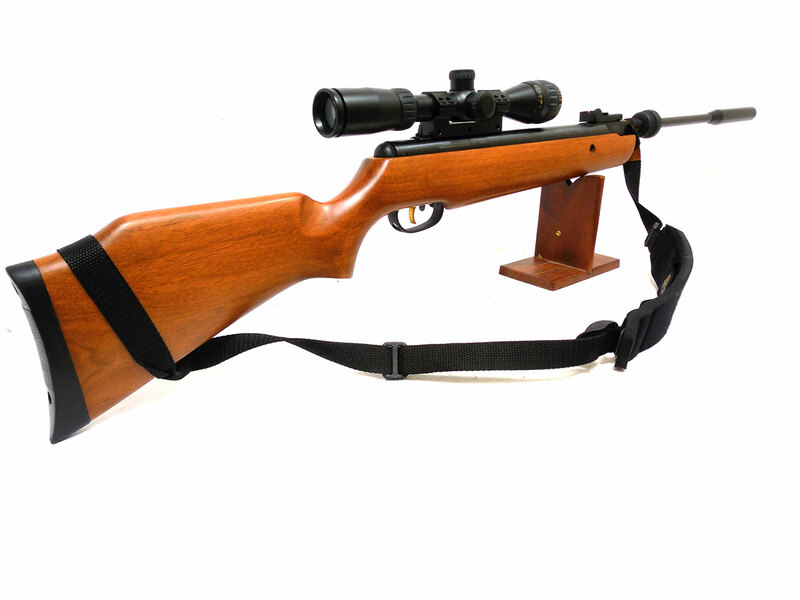 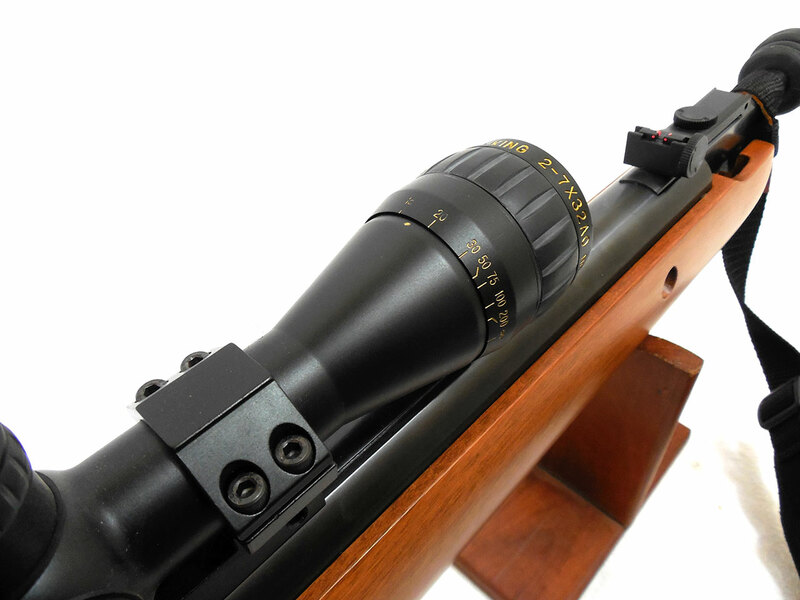 It also comes with a sling, and Nikko Stirling Gold Crown Air King 2-7×32 AO mil dot scope. 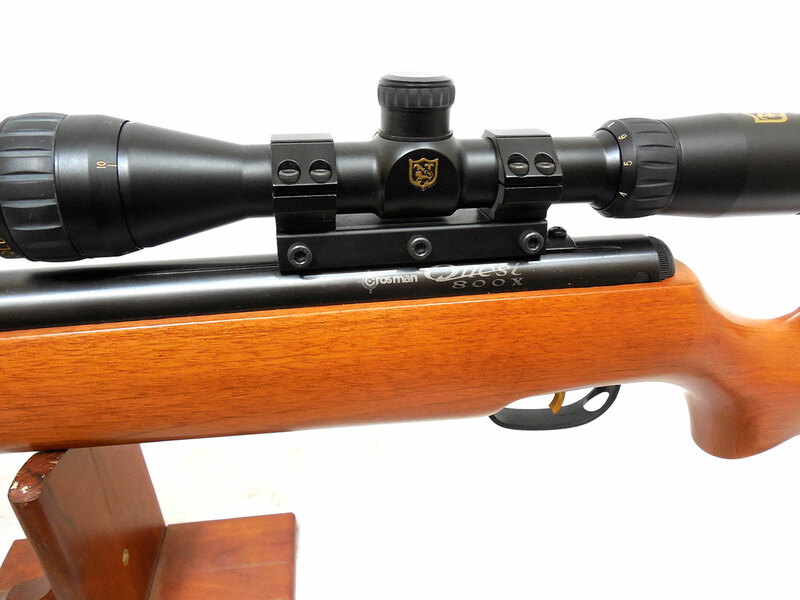 The wood stock is in very good condition, and the metal retains 95%+ of the original finish. 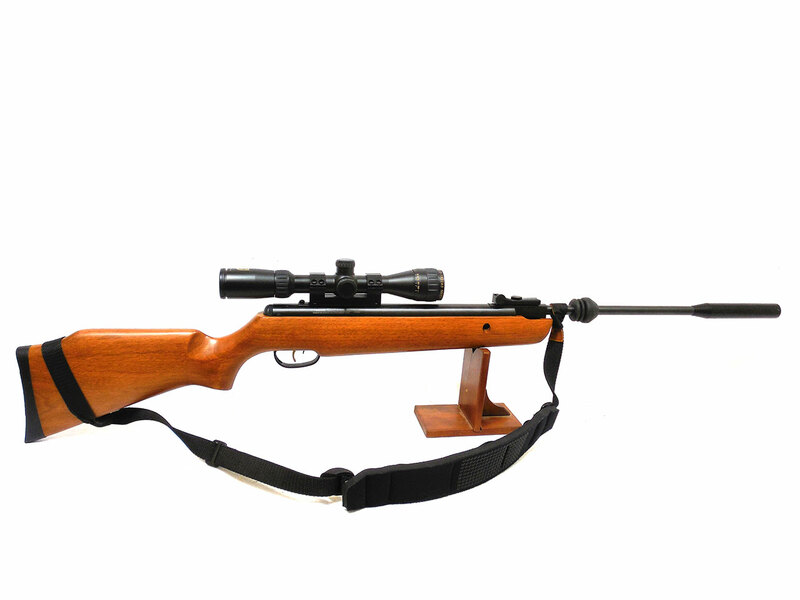 This will make a great gun for target shooting or plinking.